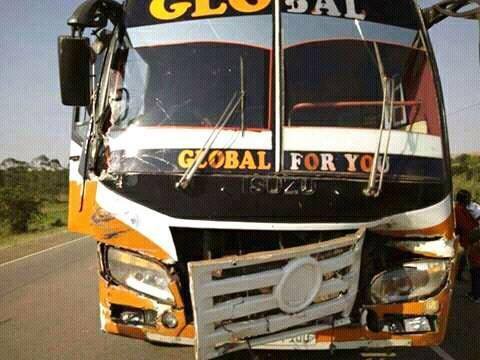 Police has confirmed that at least 10 people died and several others were severely injured in an accident involving Global Bus and a taxi along Masaka-Mbarara Highway. 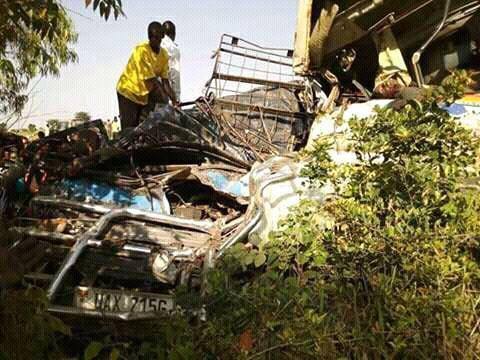 The fatal accident happened this morning at Kyetume trading centre in Lwengo district when the belonging to Global bus company collided with a taxi registration number UAX 715G and a fuso truck registration number UAX 141M. Eyewitness accounts indicate that the Global bus registration Number UAU 710U which was moving from Mbarara heading to Kampala was avoiding a cow that suddenly entered the road, when it rammed into the taxi. The dead include one Denix Nahoora, a journalist with a local fm station located in Lyantonde town. Police says most of those killed were travelling in taxi. 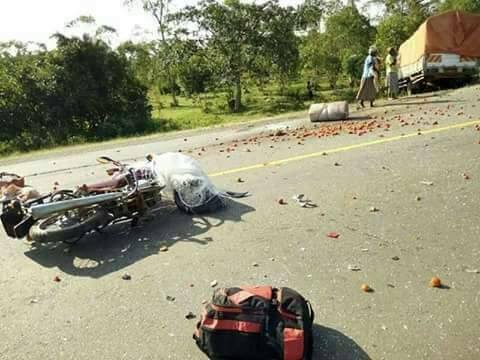 Witnesses and relatives were seen at the scene struggling to pull the victims of the accident from the three wreckages while ambulances carried those severely injured and the dead bodies to Masaka regional referral Hospital and Kitovu hospital. 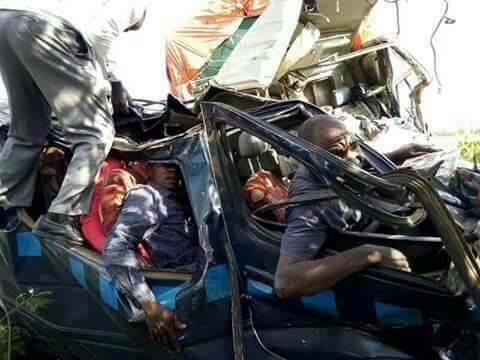 The Lwengo Police commander Ronald Muhwezi, says that only three people could have survived with injuries in the taxi while several passengers in a global bus were rescued and taken to the hospital in critical conditions. Muhwezi a full report will be released later.